"Amy is intelligent, trustworthy and fun. She is also a woman of integrity. She has strong faith-based values which are her core. That sets the tone for trustworthy. Second, Amy is bright- she has been a successful driver in all endeavors. 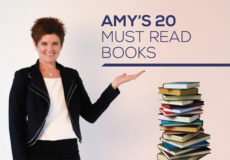 Amy is in the know- she is relevant- she has her finger on the pulse of trends and information. I can count on Amy for solid direction and guidance. Lastly, Amy is fun. Her sense of humor- lack of a giant ego, is uplifting and I always feel good after working with her. She really cares about her clients." "Women by and large lack true self esteem. Amy is wonderful at empowering women to meet their potential. 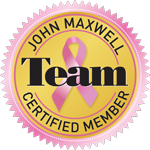 Any time a woman is working in her strengths and feeling confident and competent, any organization will benefit." "Amy has given me the opportunity for a structured approach to examining my own leadership successes and opportunities and developing a plan for continued progress. She has given me the opportunity to truly stop and focus on my abilities as a leader. I'm grateful to have been able to do some self-exploration. Amy has offered me very practical advice and ideas about dealing with difficult situations, taking full advantage of opportunities and dealing with the challenges of a very busy work environment."